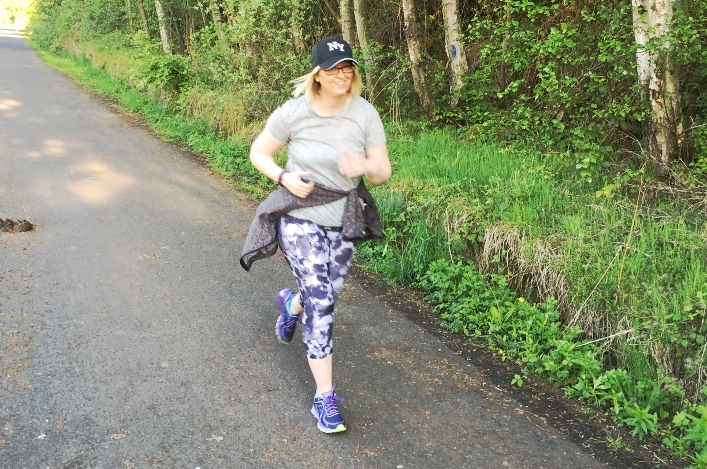 So you’re a new Jog Leader – you’ve completed our course, chosen your venue, tried out your routes – all you need now is some joggers! Your group doesn’t have to be big to be successful, and many groups start out small and grow significantly over time. Whether you’re just starting out or want to attract new members to an existing group, here are some tips to help you let people know you’re there. Make sure your group and the sessions you run are listed on our Group Finder, so that potential joggers can find you. To do this, visit the Edit Group Finder section. Don’t worry if your group is small to start with. Some groups start with just one or two people, and soon grow thanks to word of mouth. If your members enjoy their sessions, encourage them to tell their friends, family and colleagues about the group. You might also find people see you out and about and ask about your group while you’re jogging! Think in advance about how to make sure they can find out more about your group when they get home. Can you carry small cards with your group information? Do you have an easily-findable web page? 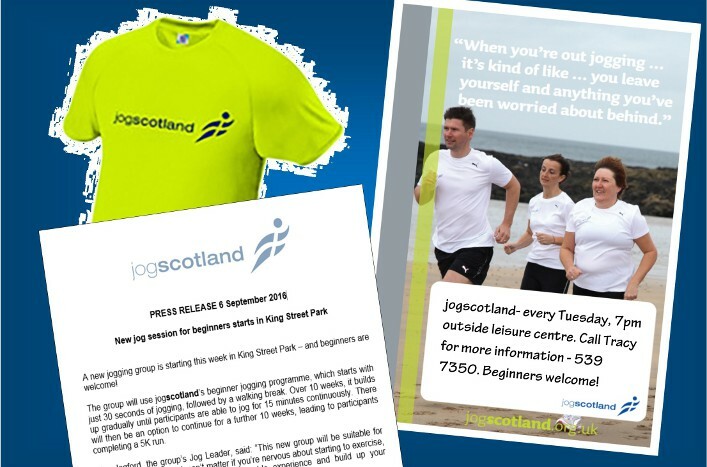 Having jogscotland branded kit can really help with word of mouth. Having other people see your group out and having fun is the best possible advertisement! 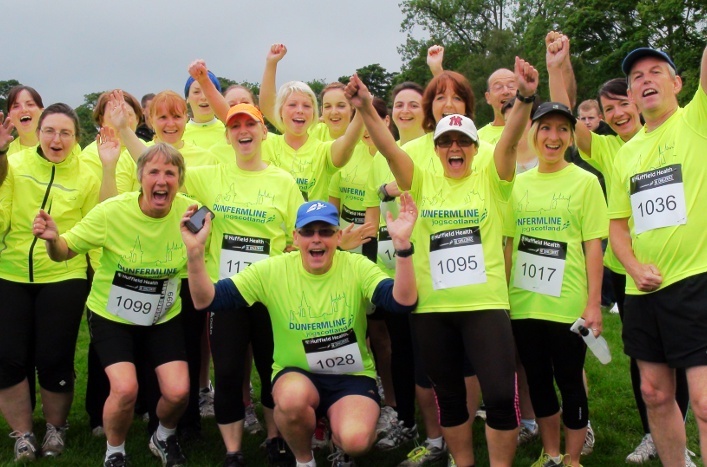 Make sure they know who you are when they see you by having the jogscotland name and logo on your group kit. You can download the logo below for use on T-shirts. Just email Sue Gyford if you have any further questions. Could you hold a one-off beginners’ Try Out session free of charge to encourage new members? Advertise as widely as you can (see ‘newspapers’ and ‘advertising’ sections). If they’ve not yet joined jogscotland online, you might want to let them know they won’t be covered by our insurance during the try out sessions – but your insurance as a Jog Leader will still be in place (in other words – if you as a Jog Leader were to run into a passer-by during the session, you would be insured; if your jogger did, and they weren’t a member, they wouldn’t be insured). Everyone who jogs with you (whether a member or not) must fill out a PARQ before you go out, so that you’re aware of any health issues that might affect their ability to exercise. If you don’t have the time or resources to advertise a general Try Out session, how about a free of charge ‘Bring a Friend’ session for existing members? We have some useful downloadable resources at the bottom of this page including posters which you can print off and add your own details. Facebook – set up a Facebook page if you don’t already have one. If you’d like help or advice on this, email Sue Gyford and she’ll help you get set up. You could set up a Twitter account for your group, and promote your sessions, tagging any accounts that promote events in your local area, your local authority, leisure trust, community sports hubs, etc. If you tag @jogscotland we’ll give you a RT. Again, if you’d like some help just email Sue Gyford and she’ll help get you set up. Make contact Do you have a regular contact at your local paper? It’s worth giving them a quick call to find out who to speak to and have a quick chat. Keep hold of their contact details – once they’re familiar with you they’ll be more likely to use the information you send them. Promos If you’re doing any special promotions, send the details to the paper. You can just send them an email, or you could write it up into a press release using the template in the Downloads section at the bottom of this page. Hero stories. Think about your members. Do any of them have a great story about how they’ve got fit/lost weight/overcome illness that they might be willing to share? Personal stories really get readers’ interest, and local papers love them. If someone has an interesting story, the paper will likely be happy to write a feature on them to inspire others with their resolutions. At the same time, you can also send them a press release or factsheet to make sure the piece has all the necessary information about your group, so it gets a plug alongside the personal story. It’s also a great way to get recognition for someone in your group who has achieved a great deal. Ask about a regular mention – especially if your paper has a community news section, they might be happy to put in regular reminders about your sessions, each week, or each time you start a new block.